Japanese variants of PS/2 8570. 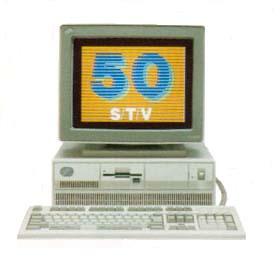 5550-S/T, the first Desk Top model of PS/55 line, were introduced to the market in Apr.1988 together with 5570-T ( 8580-20MHz analogous ). 5550-S/T were basically same with PS/2 8570. IBM Japan modified 8570 in some way. A most distinctive difference was the number of MCA slots. 50-S/T has four MCA slots. The 4th slot was added for Japanese Display Adapter to handle Japanese characters on PS/2. Thus 5550 planar was wider than that of PS/2 and, as a matter of fact, the body was also wider than 8570. Except the width, 5550 and 8570 were almost same cosmetically. The planar of earlier models of S and T had some problem regarding BUS Mastering feature and those planars were called Stage-1 and the models with free from this problem were called Stage-2. So there should be 4 types of planars for S and T models and another one ( or two ) for 25MHz version. Easy way to identify stage-1 and stage-2 . If the Power SW lever is RED, most possibly it's Stage-1. If the Power SW lever is WHITE, maybe it's Stage-2. Most possibly switch over to Stage-II from Stage-I was made around May to Jul in 1990. As for 5530, 5530-T04/T08 ( Stage -II ) and 5530-S12/S14 ( ZSX on Stage -II ) were listed in 1990 Nov. edition. Ref. Ver higher than 1.4x are based on DOS/V. PS/55 Japanese Display Adapter II ( with AVEC connector ) is equipped with earlier models of 5550-S/T ( and 5570-T ). VGA port on the planar is covered with a plastic plug. I'm not sure about a display adapter used for this model. V2 planar does not have a VGA chip and it has BVE MCA slot. Then most possibly Display Adapter B or B-2 might be equipped with V2 model. 65X1212 4MB 5550-T. Double-decked shape. Only one module can be used. 23F2165 4MB 5550-V0/V1. Double-decked ? I've once heard that S stands for Sixteen, T stands for Twenty and V stands for twenty fiVe. Following outline is a stage-1 T planar. Don't know how it differs from Stage-1 S planar. But most possibly these might be same except OSC Y5. Recently I had a chance to see stage-2 20MHz planar and noticed it is totally same with my Stage-2 16MHz planar except installed OSC Y1 and planar P/N. Aside from the fact that 5550 has 4 MCA SLOT, Layout of Stage-2 planar is different from that of 8570 in following points. 5550 Stage-2 planar has only one SIMM socket on the planar. another 2 sockets are placed on the Expansion card which is connected to the planar through J3. Speaker/Battery connector is not a riser type. SP/BT ASM is connected through wire and a male plug like 8580. ZIP VRAMs are directly mounted on the planar. See below and compare the planar with 8570 Type-1 outlined by by Louis. As a matter of fact, I have not actually examined complete V systems ever. I just have a V2 planar. When I draw outline of the planar, I noticed that 25MHz V2 planar doesn't have onboard VGA. Man, this planar has 5 MCA slots and, to my surprise, there are solder pads for another 16-bit slots! BUS riser slot J6 is shifted to the left comparing S planar I have. It means there should be more than three types of BUS Riser Card. Locations of BUS riser connectors are different with each other. One 4MB SIMM was originally installed, expandable up to 16MB on the planar. As written in V planar section, there are several types of BUS riser cards. I once had two types of riser card but there should be three or more. I tested following upgrade kits on my S and T models. 1. Evergreen upgrade modules with IBM486BL2 and BL3. CPU board ( I have not examined. ). 2. Kingston MC master 486 ( originally made by AOX ). order to use 5x86 CPU with a heatsink. Not a good choice for 8570 because it has only 3 MCA slots. 1) Need to adjust location of metal parts for screw holes to keep the planar. Location of screw holes at left front edge is different between S and T/V. 2) a BUS Riser card for FDD and ESDI hard disk for T model. 3) battery and SP unit for T model. 80486-25Mhz Processor Upgrade Kit ( P/N 57F0085 ) was listed for 5551-V0x model. 5502 is an industrial model number. Industrial models are numbered as " 5500" and each model has unique number such as 5502-S1x, -T1x and so on. System Guide describes number of Option Slots left for users except already occupied with a Display Adapter. So basically, one slot should be added to the number shown in a diagram. Model S11 to T1B meet with the rule and one 16bit AVE slot might already be occupied with a display adapter. Then how it comes that TGA and TGB were noted as 4 + 1 ? Wonder if these 2 models were not shipped with any Display adapters and use VGA on the planar? Next question; it seems models Vxx models DO have activated 16bit 6th slot shown in outline of 5550-V2 planar. 5550-V2 planar has four 32/16bit slots including x1 AVE and x1 BVE slot. But above diagram shows 5500-V have three 32/16bit slots and two 16bit slots. If 32/16bit BVE slot was occupied with a Display adapter, total MCA slots would be SIX including two of 16bit slot. Would like to see the planar.